Sometimes the scariest things are not haunted houses, the black bear near our campsite, or the Lake Erie monster roaming our shores, but rather the things we cannot easily see. If you have been watching the news lately you may be aware of these tiny particles called microplastics. Although tiny in size (5mm or smaller), they are causing a global crisis. Each year we add 8 million tons of plastic to the ocean and 22 million tons to the Great Lakes, with this number expected to increase each year. 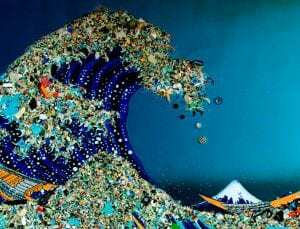 It is estimated that by 2050 there will be more plastic in our ocean than fish, and most of these plastics can only be seen with the use of a microscope. 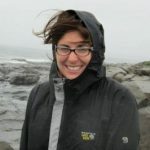 Several studies have been conducted over the past several years addressing microplastics in organisms such as zooplankton and fish. Zooplankton and fish are shown to eat microplastics. Some of the pieces leave the body through excretion but some remain. The most current research is showing that the plastic is starting to affect how these organisms behave. Plastic ingestion has shown to alter the feeding, growth, and reproductive patterns of copepods, one of the world’s most common types of plankton and the bottom of the aquatic food web. A study conducted on fish has shown that plastics in their brain cause them to eat slower and move less. So we know plastic is not healthy for fish and plankton, but what about us? I’m glad you asked. Plastic has recently been found in several foods such as salt (sea salt has the highest concentration of microplastics of any of the food or liquids tested) and honey. It has also been found in beer and most alarmingly our drinking water. Bottled water has twice as much plastic contamination as tap water. The added contamination in bottled water comes from the production and placement of a plastic cap on a bottle of water. Plastic is also in the air we breathe. So we know it is in our food, drinks, and air, but does that mean it is in us? You betcha! Plastic was recently found in human waste in a study conducted in Austria. So is this bad? Good? Sorry I don’t have the answers for you yet since this research is being conducted right now. However, we do know plastics leach chemicals that are cancer causing and disrupt our hormonal balances. And we do know that plastic affects the day to day operations of other living organisms. So it is safe to say that having plastic in your body is most likely not a good thing. I know I have given you a lot of bleak information about this plastic situation, but there are simple steps you can take every day to limit your plastic contamination. How can you stay as safe as possible? If you have access to safe tap water, it is a better option than bottled water in regards to plastic contamination. Switch to glass or metal drinking and eating containers. If you do use plastic, make sure you do not put hot items in the container or heat the container. Heating plastic causes the chemicals in the plastic to leach into your food or beverage. Use reusable items as much as possible to prevent future contamination of our drinking water. Say “no” to unnecessary single-use items such as straws, utensils, and bags. Bring your own or simply don’t use the single-use plastic item. Share what you are learning with others. 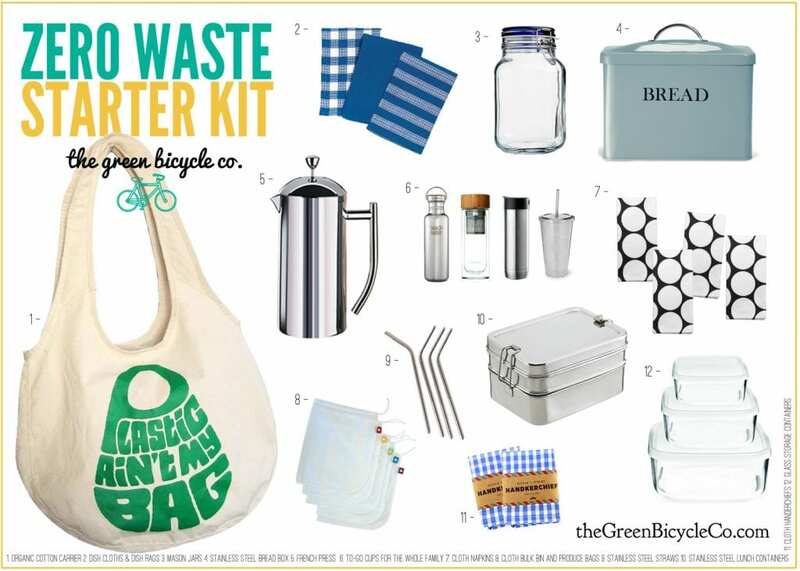 Zero waste starter kit. Credit: The Green Bicycle Co.
8 million tons: Ocean Conservancy. Fighting for Trash Free Seas. 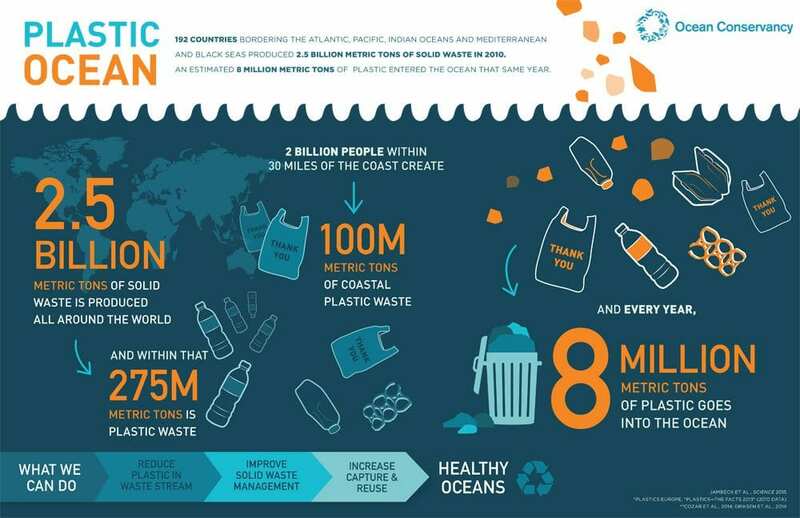 Website: https://oceanconservancy.org/trash-free-seas/plastics-in-the-ocean/. copepods: Cole, M. 2014. The impacts of microplastics on zooplankton. Thesis for degree in Doctor of Philosophy for the University of Exeter. study conducted on fish: Cedervall, T. 2017. Brain damage in fish affected by plastic nanoparticles. News and Press Releases. Lund University. Website: https://www.lunduniversity.lu.se/article/brain-damage-in-fish-affected-by-plastic-nanoparticles. drinking water: Bingham, M. 2018. Water: Tap, Bottled and Microplastics. Orb in the Word. Website: https://orbmedia.org/blog/water-tap-bottled-microplastics.